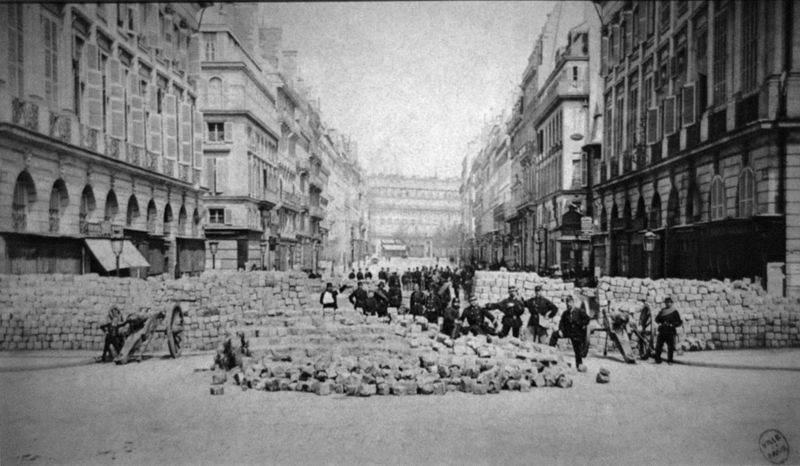 A barricade during The Paris Commune, 1871. Source: Wikimedia Commons. Anyone who aspires to be a real communist or to understand the theory of modern communism must study Lenin’s pamphlet The State and Revolution. Lenin was able to nearly finish this monumental contribution to Marxism and revolution while on the run, living underground and hiding from the police from August to October 1917, just before the insurrection that seized power. The State and Revolution has been published in practically every written language. It is considered the veritable manifesto for the Russian Revolution. However, the book played no role in the revolution itself given that it was not published until after the workers had seized power in October/November 1917. The final version was written following the victorious October insurrection. If Lenin had written the book only as a guide to action for the revolution, it would have been unnecessary for him to devote so much time to finishing the book in the two months after the revolution. After all, at this time he and the other leading Bolsheviks were also confronted with the consuming crises and immediate life-and-death challenges facing the new government. The book’s primary objective was not simply to serve as a guide to action for the unfolding events. Nor was it to describe what form a future socialist state would take. The book and its contents were written to re-establish the original revolutionary teachings of Marx on the need to smash and destroy the existing state power rather than using its parliamentary apparatus as the path to achieving socialism. The book’s primary objective was to rescue Marxism from its devolution into a doctrine of reform, to restore Marxism as a doctrine of revolution. The core ideas in The State and Revolution were developed by Lenin in January and February of 1917 and were based on his decision to restudy all that Marx and Engels had written on the question of state power. This study took place in a library in Zurich, Switzerland, where Lenin was then in exile. The core concepts were not developed in response to the prospects, possibilities, and challenges of the rapidly unfolding revolutionary process that began in February 1917 and culminated with the Bolshevik-led insurrection in October. Rather, they were developed in response to an ongoing theoretical debate between Karl Kautsky, widely recognized as the leading Marxist theoretician of the international socialist movement, and “left” Marxists. The question of how the socialists could win political power, and whether the existing state power in capitalist society could be used as an instrument in building socialism, had evolved in a steadily less revolutionary direction since the death of Marx in 1883. Given that the capitalist states had plunged the world into a war of unprecedented destruction, this theoretical dispute was no idle matter but had pressing and immense significance for the general strategy of socialists everywhere. In this context, Lenin decided to restudy Marx and Engels, and this led him to change or sharpen his own view on the subject. Although not published until January 1918, the ideas expressed in the book played a fundamental role months earlier in the success of the first socialist seizure of power. Lenin had transmitted the revolutionary essence of these ideas to the Bolshevik leaders, and from there, these ideas guided the party as a whole. Simply put, the October socialist revolution could not have succeeded without the party’s leadership, and that leadership would have been impossible had the party not been inculcated with the ideas Lenin developed on the question of the state. The book’s central ideas represented a sharp departure from the mainstream socialist parties that had become a significant force in Germany and other European parliaments. They also constituted a shift in the thinking of the Bolshevik Party. The State and Revolution was a polemic directed against the core leadership of the parties of the Socialist International (also known as the Second International), and especially against Karl Kautsky and the German Social-Democratic Party, the flagship of international socialism at that time. The mainstream of the socialist movement had forgotten, or chosen to ignore, the conclusions that Marx and Engels developed about the state following the experience of two failed revolutions: the February 1848 revolutions in France and Germany, and, of even greater consequence, the Paris Commune of 1871. In 1871, tens of thousands of Parisian workers were slaughtered and their Commune destroyed following a two-month hold on political power. Marx and Engels approached political theory as a science. Their theory was based on an examination of facts, evidence, data and experience. They did not engage in much speculation about the future. They did not dream up utopias, schemes or new systems for a better world. Their theory was based on the generalized experience of the class struggle in history. The Communist Manifesto was written on the eve of profound (bourgeois) democratic revolutions that swept France, Germany and other countries in Europe in 1848. Those revolutions ended in violent defeats in 1849 for what Marx and Engels termed the democratic party (representing the peasantry and urban middle classes) and the workers’ party (representing the working class). The result was fierce repression of working-class activists for decades to come. Marx and Engels were forced to flee Germany and spent the rest of their lives in exile in England. In France, as a result of an economic crisis that began in England in 1847 and spread to France, a coalition government came to power in February 1848 following the collapse of the regime of King Louis Philippe. The new government promised unemployed workers a job, among other reforms. In June 1848, the French government moved to close down these economic reforms, and the workers alone defended them against both the big and petty bourgeoisie. Though ending in defeat after a valiant struggle, this was the first time in France that the working class acted politically as an independent force and not as the tail of the radical democratic petty bourgeoisie. The Communist Manifesto had argued that the proletariat must end the political supremacy of the capitalists by attaining or achieving political power, and the state power must be radically altered into the “proletariat organized as the ruling class” and by the working class “winning the battle of democracy.” But the Manifesto had not answered the question of how this task was to be accomplished. Only the defeats of the revolutions in 1848 allowed Marx to go beyond the Manifesto’s general formula and sum up that experience with greater clarity. Studying the 1848 revolutions, he could deal with the question of state power in a specific, particular way, rather than with an abstract formula. In 1852, Marx wrote: “All [earlier] revolutions perfected this machine instead of smashing it.” He declared that the proletarian revolution must break up and destroy the state machine. Marx and Engels considered this conclusion to be an important step forward in their theory of revolution, and foundational to their entire world outlook by 1852. And now as to myself, no credit is due to me for discovering the existence of classes in modern society, nor yet the struggle between them. Long before me bourgeois historians have described the historical development of the struggle of the classes and bourgeois economists the economic anatomy of the classes. What I did that was new was to prove: 1) that the existence of classes is only bound up with particular historical phases in the development of production; 2) that the class struggle necessarily leads to the dictatorship of the proletariat; 3) that the dictatorship itself only constitutes the transition to the abolition of all classes into a classless society. Marx did not speculate about what form a future workers’ state might take. He was not in the business of providing prophesies about what the future “better world” would look like nor what form the “dictatorship of the proletariat” would take. The history of the class struggle had not yet answered that question of what could and would take the place of the smashed and broken up state power. Only the seizure and holding of political power for two months by the working class in Paris in 1871—the Paris Commune—presented the experience and evidence of what a workers’ state would look like and its fundamental difference from the bourgeois state. Marx died 12 years after the Paris Commune. The defeat of the Paris Commune set the movement back, and the First International splintered in its wake. Marx and Engels moved its headquarters from London to New York City, where it contracted further and died a few years later. There was widespread despair, a mood that accompanies every big setback for the movement. But within a few years a revival began, although in much less revolutionary form. In the decade after Marx’s death, Engels functioned as the advisor and consultant to the socialist movements in Europe. As the industrial revolution spread rapidly in the years following the Paris Commune, the workers’ struggle changed in form, magnitude and tone. The tempestuous growth of organized labor unions coincided with the expansion of the right to vote. While the Communards in Paris had “stormed the heavens” in raging street fighting, the new socialist movement was channeled into mass union organizing and electoral politics. Socialist parties based in the working class grew exponentially. Less revolutionary than the Paris Commune but wider in scope, the new socialist parties formed a Second International. Although Marx functioned as an organizational leader of the First International, which did not yet include socialist parties but groups and movements, his ideological and political followers were only a small minority. The Second International, by contrast, was based on new political parties that possessed a mass base within the working class, and they all identified as Marxists. Thus the teachings of Marx and Engels became the dominant political force within the Second International. The new international was a huge step forward for Marxism, socialism and the workers’ struggle. But as the new workers’ parties of the Second International expanded their influence by organizing large trade unions and winning elections in the parliamentary arena, they blunted Marxism’s revolutionary essence. By the early 20th century, the right to vote—for propertyless male workers—had been achieved in large parts of Europe. Mass socialist parties representing the working classes gained ever larger blocs of seats within the parliaments of various countries. These parties were led by people who considered themselves Marxists and had come to believe that parliamentary struggle was the way to win the “conquest of political power” by the proletariat. The most important socialist party in Europe was the German Social Democratic Party (SPD). This party and its theoretical leaders, including Karl Kautsky, were considered the “center” of the Socialist International. Lenin, too, recognized the leadership of the SPD and Kautsky until August 1914, when the SPD delegates in the Reichstag (the German parliament) voted to support the German war effort with the outbreak of WWI. Kautsky, who was considered by many an orthodox Marxist but actually had become a centrist (revolutionary in words, reformist in deeds), clearly envisioned that the “conquest of political power,” as described in the “Communist Manifesto” could be secured through a peaceful, parliamentary path. By gaining the majority in parliament and raising the socialist-led parliament to be the directing force of government, the SPD could chart a path for the socialist reorganization of the economy. “The goal of our political struggle remains the same as it has been up to now: the conquest of state power through winning a majority in the parliament and raising parliament to be the master of government. Not, however, the destruction of state power,” wrote Karl Kautsky in 1912. For today’s reader, it is critically important to understand why this prospect of a peaceful transition to socialism in Germany seemed plausible at the time, rather than just a dream. Germany had anti-socialist laws in place until 1890. Thus, the Social Democratic Party, which had been formed in 1875, had to work under conditions of illegality. When those laws were lifted and the party could function legally, it grew rapidly. By 1910, the SPD was the most vibrant force in German society. For one, SPD organizers were dominant in the German labor unions. The party published newspapers, magazines, pamphlets and books; it created musical and choir organizations; it established organized networks of worker-poets; it established 125 local children’s organizations and 574 youth organizations to provide education, culture and recreational activities for young people; it established a “free advice” program in most cities that provided advice to help working people secure legal and economic benefits from the state; it had its own beer halls where working people gathered. By 1912, the SPD had grown to nearly a million members. It had in some ways developed a socialist-led “state within the state.” SPD leaders and members envisioned an electoral success that would give a mandate for this “state within the state” to be extended nationwide as the new model. In the 1912 parliamentary elections, the SPD won the largest number of votes of any party, and became the largest bloc within the Reichstag, with 110 seats. Based on this success, the SPD became the “model” for all socialist parties at that time. But it was precisely because it was so successful as a legal party that its leaders did not want to “lose everything” that they had achieved. When WWI broke out between the competing capitalist governments of Europe, the SPD was forced to decide how its delegates would vote inside parliament. To vote against the expenditures needed for war (war credits) would have had the party labeled as traitors by the German army’s high command. This charge of treason would undoubtedly have also been made by many of the millions of workers who had voted for the SPD. As happens in the beginning of all major wars, a war hysteria swept the population. The threat of annihilation from the “enemy,” in this case the reactionary armies of the Russian monarchy, created a wave of patriotism and national unity. To vote against the war funds in this context would have meant standing against this wave and facing the allegation of helping tsarist Russia. The SPD leadership, along with the other parties in the Socialist International, had seen ahead of time that the danger of a world war was real. In 1912, all the socialist parties had met at a conference in Basel, Switzerland, and vowed that if war came each national party would oppose the workers of their country being sent to kill and be killed by workers from other countries. At the conference, they raised again the banner of the “Communist Manifesto”: workers of the world, unite! But then, in August 1914, the war broke out. With the imperialist powers attacking and invading each other, would the socialists stand aside and oppose their country’s armies who were in a life-and-death battle to “save” their nation? To do so certainly meant losing legal status. It meant having mass organizations closed down and their members in parliament sent to prison for treason. The Russian Social Democratic Labor Party faced the same challenge in August 1914. The Bolshevik faction of the party had won the seats set aside for working-class districts in the parliament (the Duma). Under Lenin’s direction, they voted against the war credits. They adhered to the resolution of the Basel Congress. 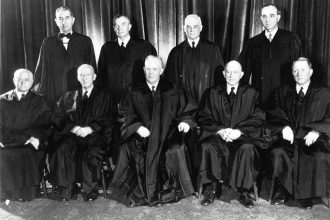 They were imprisoned and indicted as traitors to Russia and went to trial facing the death penalty if convicted. In Germany, 109 out of the SPD’s 110 parliamentary delegates voted for war credits. Karl Liebknecht, a member of the left wing of the SPD, abstained (as had been recommended by Kautsky) but voted “No” on a subsequent resolution. In spite of his parliamentary immunity, Liebknecht was arrested, drafted into the army and dispatched to the Eastern Front of the war against Russia. The State and Revolution broke with the thinking of the majority of the socialist parties. Until the outbreak of WWI and the capitulation of the German socialists to the war effort, Lenin had accepted Kautsky as the leading Marxist theoretician of the international movement. He had not challenged the dominant views of other Marxists on the question of the state. He had denounced Kautsky as a traitor to socialism because of his position on the war in 1914, but before 1917 he had not challenged Kautsky’s view on the state. Biographers and scholars on Lenin have different views of whether The State and Revolution was a transformative work that led Lenin to rethink his own views on the subject. He certainly did not, of course, share Kautsky’s infatuation with the parliamentary road to socialism. Lenin, for instance, had supported the launching of an armed struggle during the 1905 Russian Revolution. But prior to 1917, Lenin did not enter the theoretical debate between Kautsky and “left-wing” Marxists on the role of the state and how the socialists could achieve political power. In 1916, Dutch Marxist Anton Pannekoek and later Russian Nicholai Bukharin published “leftist” criticisms of Kautsky’s position on the state. Pannekoek argued that the socialist movement and the cause of the working class “is not simply a struggle with the bourgeoisie over state power as an object, but a struggle against state power.” Kautsky responded, as quoted earlier, that a socialist-led government could and should become “the master of government,” but with the aim of using, and not destroying, the state power. In a 1916 article, Bukharin argued–along the same lines as Pannekoek–that a new socialist society led by an empowered working class must “outgrow the framework of the state and burst it from within as they organize their own state power” or else the new socialist power would eventually be absorbed by the capitalist state structures. Lenin rejected the article for publication. In a review of this debate, political scientist Marian Sawer has argued that Lenin’s three months devoted to the restudying of Marx and Engels’ position on the state was what led to a dramatic change in his own position on the state. As a consequence, she says, Lenin came closer to Bukharin’s orientation but then went far beyond anything written by the “left” Marxists in developing a comprehensive position on the need to smash the bourgeois state and replace it with a state of a new type: the commune state. For the first time, Lenin writes of the worker and peasant soviets (popular councils), which had been created spontaneously from below during the 1905 revolution, as the embryo of a new alternative state power to the capitalist state. The timing of Lenin’s theoretical study on the Marxist view of revolution coincided accidentally with the outbreak of a real revolution. All of the freshly thought-through ideas about the need to smash the state and create a new state power immediately became applicable in life. With the outbreak of the revolution, all of Lenin’s attention switched to finding a way back to Russia without being murdered or jailed along the way. Lenin feared that his notes on Marx and Engels’ writings on the state—what became famously known as the Blue Notebook—could be confiscated on the trip back from Zurich. The notebook was left behind and he was only able to retrieve it later through Sweden. But even without the notes in hand, Lenin was crystal clear on the task at hand. Lenin arrived in Russia on April 3, 1917. When he first presented his worked-out thoughts on the state and its practical implications, they sent a shock wave through both the Bolshevik and Menshevik leaderships. Lenin read his “April Theses” out loud to a gathering of Bolshevik leaders on April 4. In fact, he did so twice so that the meaning of his proposals could be fully understood. The next day, he read them to a meeting of both Bolshevik and Menshevik leaders. The April Theses represented a major reorientation. Lenin called for the overthrow of the newly created “Provisional” capitalist coalition government that had arisen after the February Revolution and the replacement of this existing state power with a new state power led by grassroots Workers’ and Peasants’ Councils (Soviets). He invoked the Paris Commune in the April Theses, although without much explanation, and insisted that the comrades reread what Marx wrote about the Commune in 1871, 1872 and 1875. Both the moderate, Menshevik faction of the Social Democratic Labor Party of Russia and the revolutionary faction of the Bolsheviks rejected Lenin’s position. Upon hearing his April Theses at their meeting, the St. Petersburg Committee voted 13-2 to reject the position Lenin offered. The Bolshevik Committee in Moscow also voted to reject the Theses. Almost all the other Bolshevik leaders were supporting, although in a critical way, the Provisional coalition government that had replaced the fallen tsar in the February Revolution (1917). That new government was dominated by the bourgeois-liberal Cadet Party, the peasant-based Socialist Revolutionaries and the Mensheviks. The Bolsheviks were offering critical support while attempting to push it to the left. The April Theses and the struggle it provoked inside the Bolshevik Party has been examined and re-examined by socialists and scholars of the Russian Revolution and in all the biographies on Lenin. Most of these discussions center on just one side of an internal controversy that had been debated for more than a decade but was brought into sharper focus by the April Theses: the class character of the coming revolution. This was the question of whether the upcoming revolution in Russia, which all sides agreed would fundamentally be a bourgeois-democratic revolution, would be led by the liberal bourgeoisie (the Menshevik position) or by the “democratic dictatorship” of the workers and the peasantry as a whole (the position put forward by Lenin in 1905 and adopted by the Bolsheviks). According to this formula, Lenin foresaw an alliance between, on the one side, the peasantry including the kulaks (capitalist farmers), middle and small-holding peasants and the landless poor that would neutralize the big bourgeoisie and, on the other side, the working class through the Russian Social Democratic Labor Party, which could play the leading role politically since it would see the way forward that no peasant party possibly could. Most of the Bolshevik leaders, therefore, believed that Marxists could enter a revolutionary government together with the democratic petty bourgeoisie, even if the workers’ party did not rule outright. Rather, the workers’ party would play the role of ensuring the best political conditions—a democratic republic—for capitalist development to replace feudalism, and for the workers’ struggle against the capitalists. The implication of Lenin’s formula of a “democratic dictatorship” was that the bourgeoisie in Russia was too enfeebled, too tied to the feudal landowners and imperialism, and too unrevolutionary to carry out radical land reform and other measures enacted by the bourgeois revolutions in Europe a century or more earlier. In other words, Lenin’s formula of the “democratic dictatorship of the workers and peasantry” anticipated a bourgeois-democratic revolution but without the bourgeoisie or its political parties leading the fight. When Lenin insisted in April 1917 that the Bolsheviks withdraw support for the Provisional government and instead call for all power to the Soviets, some Bolsheviks argued that Lenin had abandoned his own theory about the bourgeois-democratic stage of the Russian Revolution. They asked how it could be that Russia, if it first required a bourgeois-democratic revolution (against feudalism and its remnants), later followed by a socialist revolution, would only need a bourgeois-democratic revolution as a historical stage that lasted two months? Lenin would not have considered the April Theses conclusions to be an abandonment of the earlier formula regarding the democratic dictatorship of the workers and peasantry. The Theses’ seventh point called for: “The immediate union of all banks in the country into a single national bank, and the institution of control over it by the Soviet of Workers’ Deputies.” This “transitional demand” suggests that Lenin believed at that point in the revolution that the country, in spite of its economic and social/cultural backwardness, could move in the direction of socialism—though not necessarily to socialism itself. Many bourgeois-democratic revolutions in economically backward countries have carried out nationalizations of banks and major industries to advance the development of capitalism, not socialism. In light of the horrific destruction and social agony of WWI and its potentially revolutionary consequences not just in Russia but in the advanced capitalist countries as well, Lenin was at this point leaving somewhat open the actual near-term course of the Russian revolution. But Lenin had already come to the conclusion that the second revolution that he was now advocating as an imminent, short-term prospect—not as an event for the distant future—would be the inauguration of the international socialist revolution. This was so even though Russia was still devoid of the material prerequisites to finish the construction of socialism. “However, it was not our impatience, nor our wishes, but the objective conditions created by the imperialist war that brought the whole of humanity to an impasse, that placed it in a dilemma: either allow the destruction of more millions of lives and utterly ruin European civilisation, or hand over power in all the civilised countries to the revolutionary proletariat, carry through the socialist revolution. To the Russian proletariat has fallen the great honour of beginning the series of revolutions which the imperialist war has made an objective inevitability. But the idea that the Russian proletariat is the chosen revolutionary proletariat among the workers of the world is absolutely alien to us. We know perfectly well that the proletariat of Russia is less organised, less prepared and less class-conscious than the proletariat of other countries. It is not its special qualities, but rather the special conjuncture of historical circumstances that for a certain, perhaps very short, time has made the proletariat of Russia the vanguard of the revolutionary proletariat of the whole world. Lenin’s strategic reorientation of the Party and the controversy it created inside the Bolsheviks has been the subject of widespread attention and examination. But the other side to the April Theses debate has been given less attention. Lenin’s thinking had evolved and had now gone much further than others in the socialist and Marxist movement in his insistence on the need to smash, break up the state and replace it with a new one—a power such as that created by the short-lived Paris Commune. By raising the Soviets as an alternative state power, a new historical iteration of the commune state, Lenin was arguing that these spontaneously created and democratically elected councils of workers’, soldiers’ and peasants’ deputies could not only defend the people’s interests and the struggle for democracy but also could function as a new state power. Instead of utilizing the existing state power for socialist ends, the existing state could be broken up, smashed and replaced with a new state based on another class power. The core argument of the “April Theses” was more ambitious: Lenin was, in effect, proposing the smashing of the existing state and creating an entirely new and fundamentally different type of state. In Lenin’s notebook from the restudy of Marx and Engels’ works, it is clear that he re-evaluated the role of the Soviets as the basis for a Commune-type state along the lines of what was created in Paris in 1871 and which Marx analyzed with great detail. That process of examining the experience of the commune had, as stated above, also sharpened Marx’s own view on the question of the state and revolution. This theoretical study not only sharpened Lenin’s views. They were literally brought by him from the library to the battlefield of the revolution itself. Lenin believed that the unwillingness of the Provisional government to end Russia’s involvement in WWl would lead the workers, based on their own living experience, to come over to the Bolsheviks’ attitude about the need for a revolutionary insurrection. Lenin’s authority within the organization and his unmatched respect allowed him to win over the majority of his opponents within a few days. The Bolsheviks reoriented and were on the path to revolution, which they accomplished seven months later. Lenin’s presentation of the “April Theses” was followed by numerous articles, letters and speeches by him during the subsequent months of revolution, setback, repression, renewal and finally the seizure of power. 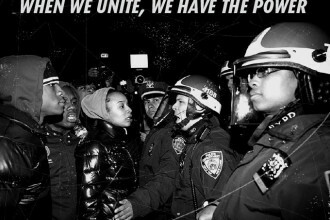 The themes and ideas from April were repeated and re-explained as the tide of events took sharp and unexpected turns. Beginning in July 1917, after the Mensheviks and Socialist Revolutionaries—who had the majority of delegates in the Soviet—had insisted on continuing the war and had refused to respond to the demands of the peasants for land, the Bolsheviks even temporarily withdrew for a time their call for all power to the Soviets. This was to avoid the potential misperception among the increasingly restive and radicalized workers that the Bolsheviks call for Soviet power could be interpreted as support for the continuation of the war or that they would turn their backs on the poor peasants who were bent on seizing the lands of the nobility and large landlords. As the bourgeois-led Provisional government caved to the pressure of Britain, France and the United States to continue the war, the moderate socialists who joined the Provisional government lost credibility among the workers. By September, the tactic of “persistent and patient” explanation about the inadequacies of the Provisional government showed its correctness as public opinion shifted dramatically to the left and the Bolshevik delegates became the elected majority of the Soviets. Once they had majority support in the Soviets, Lenin insisted that preparations for an insurrection begin. On October 25 (November 7), the Bolshevik-led insurrection brought the Soviets to power. Their political support had become so widespread that the revolution was nearly bloodless. Lenin’s concepts and views on the question of the state and revolution were finally presented in their fullness with the publication of The State and Revolution two months later. Because its topic is not limited to Russia but to the tasks facing all modern revolutions that seek to overturn power in bourgeois society, and because Lenin and the Bolsheviks actually succeeded in making the revolution in 1917, The State and Revolution was embraced in the early 1920s by the international communist movement as a guiding document for the revolutionary struggles of the working class. Left-wing socialists and pro-communist anarchists united and formed new communist parties to challenge the reformist socialist parties. They were inspired by the Russian Revolution, and The State and Revolution became their new manifesto of the 20th century. But just as Marx and Engels’ writings on the state were “forgotten” by the Marxist leaders of the socialist parties and just as these founders of scientific socialism were “converted into harmless icons” and the essence of their revolutionary teachings blunted and vulgarized, so too were the works of Lenin by many of the Marxists who came later. This was a complicated historical process and went through various stages stretching over several decades. First the victories of Nazism and fascism in Germany, Italy and Spain—and then the spread of fascism throughout continental Europe—not only crushed both the communist and socialist parties but caused a re-orientation away from proletarian revolution in Europe. Instead of smashing the state and making revolution, most of the communist movement in Europe retreated in its strategy and objectives. The main goal in the short term was to “preserve democracy” and prevent the capture of state power by fascist organizations. Preserving democracy, they thought, meant allying with the liberal bourgeoisie to preserve rather than smash the existing state. Assigning this non-revolutionary task to the communist movement required a “reinterpretation” of Lenin’s key writings. Since these parties declared themselves to be Marxist-Leninists, it required them, to reinterpret the meaning of Marx and Lenin’s foundational texts or ignore their applicability. They had to essentially pretend that they did not exist or have relevance in the modern world. This was precisely how the Second International reformist socialists had vulgarized Marx’s view of the state. The PSL anticipates that the current global contradictions emanating from imperialism and the repeated economic crises of capitalism will lead to a new wave of revolutionary mobilization and the revival of socialism as the only counterpoint to capitalism. That is why we are republishing and restudying The State and Revolution. Each new generation of working-class activists and fighters needs to read and study this manifesto of revolution, which restored the essence of Marx’s prescription about how to build a better world. This article first appeared in the PSL’s book, Revolution Manifesto: Understanding Marx and Engels’ theory of revolution, available for purchase here.